Be sure to check out St Augustine Food Tours When Planning a Trip to St. Augustine! True enough St. Augustine has just about everything to offer in terms of tours and attractions. We also have bragging rights to some of the best restaurants in Florida! Not only is the food to die for but so is the dessert! We are noted for some amazing chocolate and yes wine as well! 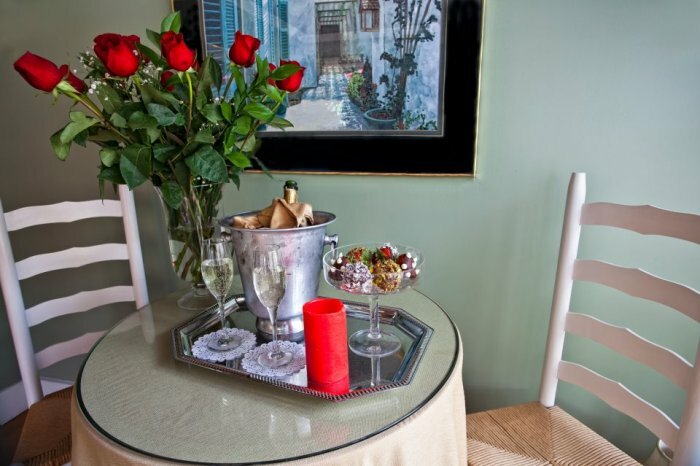 Tasting Tours of St. Augustine has their own niche when it comes to entertaining with food and drink. Located just down the street from us, they are now offering some amazing options for St Augustine Food Tours! Their creative tours include the Corks and Forks Tour, Barrels and Kegs and their very own Haunted Beer and Wine Tour. Amazing options right? For now, to stay on topic lets talk about their St Augustine Food Tour! This one is known “Corks and Forks” and is not one for the light eater or maybe even someone watching calories. Trust us, you’ll want to be in full vacation mode for this experience! Lets just say, if you better arrive with an appetite! Did we mention walking shoes may be your best choice for this? This amazing tour is a 3 hour strolling food and wine tour through the nation’s oldest city! A true delight for the taste buds indeed! This tour has been voted BEST “crawl’ in St. Augustine by Travel and Leisure Magazine! Eat, drink and TASTE your way through St. Augustine on this fantastic tour! As you stroll through town, you will learn where the local foodies dine, taste farm fresh ingredients that inspire local chefs, sip glorious boutique wines and explore the beautiful historic streets! Price: $79 per person. Advanced reservations required. Next up – let us mention the chocolate tour that sells out just about every day in the Summer! The Whetstones Chocolate Factory Tasting Tour joins the TOP St Augustine Tasting Tours list! St. Augustine’s “Original Chocolate Tour” led by Whetstone Chocolatiers is one of the St Augustine Food Tours and Tastings you won’t want to miss! You will be introduced to the history and making of chocolate and the Whetstone story. A 4-tiered tasting distinguishes the characteristics of our dark, milk and white chocolate, cocoa nibs and more. Taste freshly made chocolates and confections while you walk through the St. Augustine factory. From my experience and many others, this tour is for the chocoholic with a discriminating palate searching for the subtleties that define artisan chocolates. This is a decadently delicious experience you won’t soon forget! Tours are limited to 25 people so reservations are suggested. Please call 904.217.0275 now to make yours. the near future, then consider downloading our free guide to the city! 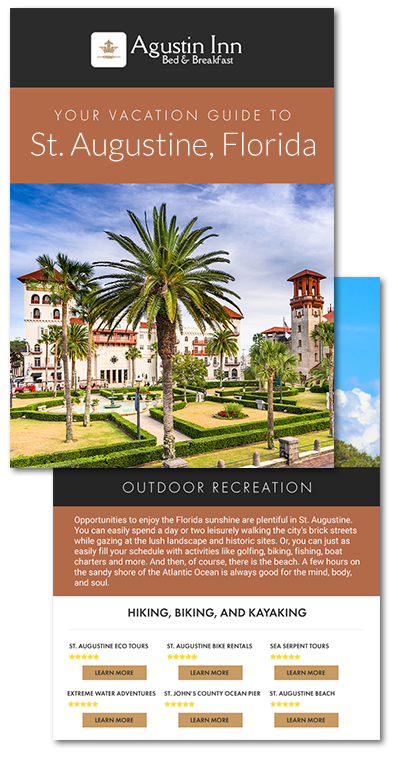 The St Augustine Vacation Guide essentially offered through the Agustin outlines a number of things to do in St. Augustine including the best St Augustine Food Tours, St Augustine Attractions and even yearly events and festivals you may plan to stay for!